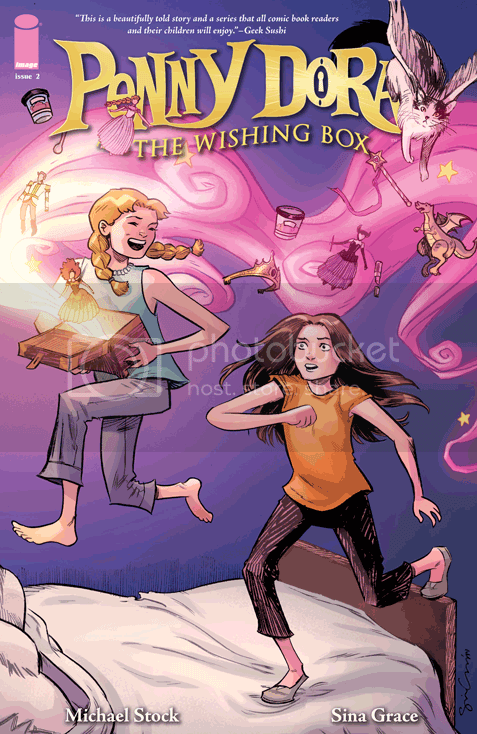 Penny Dora and the Wishing Box #2 (Published by Image Comics; Review by Draven Katayama; ‘Rama Rating: 7 out of 10): Penny shares the spotlight with her friend, Elizabeth, as they figure out how this mysterious box works. We don’t get major reveals yet, but we do get cute, funny moments, like when Iggy the cat receives ham-flavored ice cream. Tamra Bonvillain’s use of bold colors looks good: two panels that focus on Penny’s luminescent green eyes pop off the page. Michael Stock writes well the tension kids feel between wanting a friend to like them and not wanting that friend to mess with their stuff. We need more development of Penny apart from this mystery: what are her likes and hobbies? Stock is combining Beverly Clearly-style hijinks with Hogwarts-like magic realism. 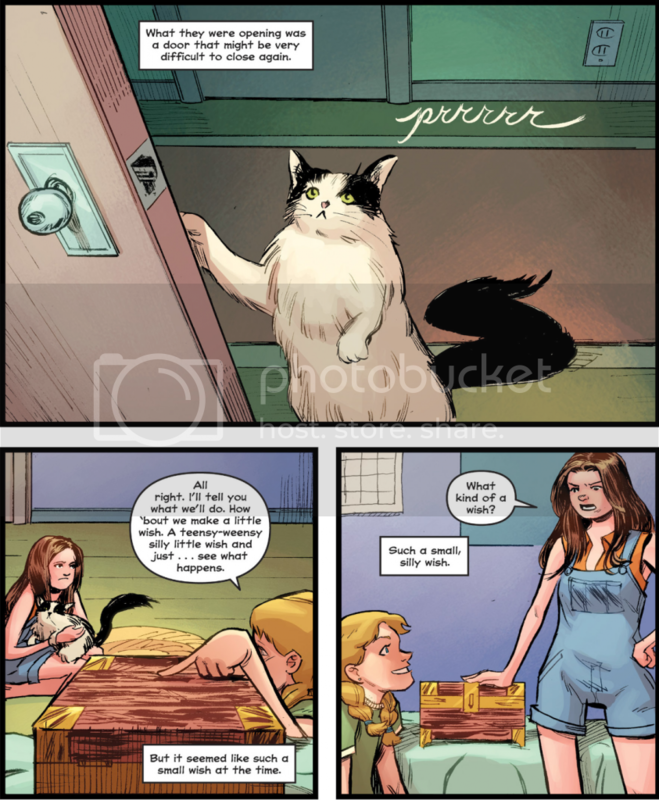 It’s a fun and creative story, but Penny’s world beyond her bedroom and house still remains unexplored.